So sorry it’s late but after a short break, here’s August’s monthly YouTube and Spotify playlist! August brought you some great throwbacks by HelloGoodbye, Jaimeson and Shanice; mellowed some Mondays with Etta James, Lost Frequencies and Hayley Kiyoko and brought you a whole range of new music from Digital Farm Animals, Sigala, Prince Royce and Pia Mia. More than anything, we hope that you enjoyed the songs we brought you throughout August 2015’s posts and we thank you for your continued views and support! – Our apologies if any of the tracks are missing from the Spotify playlist – some of them may not have been released yet or some may have been removed from Spotify by the artist/band. Next month, we’ve definitely got another Skype interview and of course we’ll be bringing you many more epic tunes! Robin Thicke & Pia Mia are our featured artists for this week’s #Two4Tunesday and they’ve got some help from a few friends too! 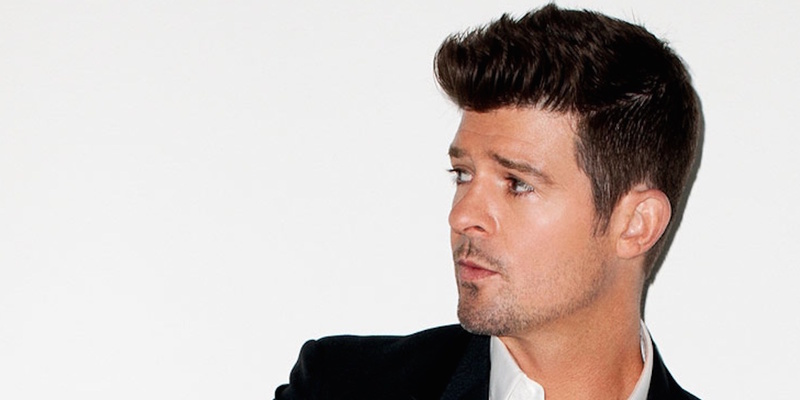 Hip-thrusting, line-blurring Robin Thicke is our first song for this Tuesday and he’s back with another potentially huge hit, featuring guest vocals from Nicki Minaj. After the huge success of ‘Blurred Lines’, he’s got a tough personal record to beat but this catchy number could well see him back up at the top of the charts again. Pia Mia is definitely one to watch – her unique blend of pop, R&B and hip hop is bound to be a hit with many! This song has particularly been gathering interest as it’s a collaboration with both Chris Brown and Tyga. I’m definitely looking forward to hearing what else this singer has to offer in the near future, with an album due out shortly. Another great #Two4Tunesday over! You got any different songs you’re listening to right now? Please leave them in a comment below.